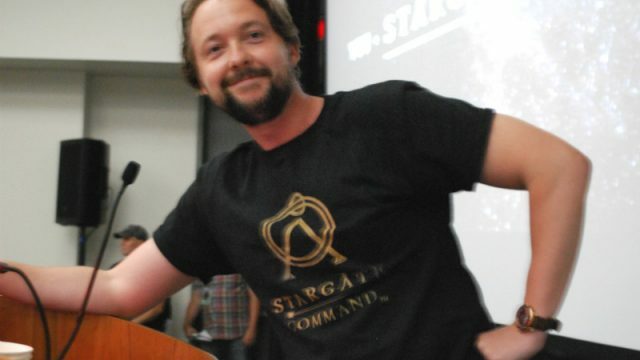 Kieran Dickson moderates the 2018 Stargate panel. Stargate again took San Diego Comic-Con by storm, with today’s big panel event drawing hundreds of fans inside the San Diego Convention Center. 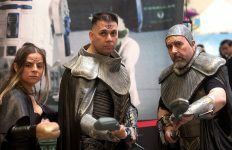 Hosted by StargateCommand.co editor Kieran Dickson, the panel included actors Christopher Judge (“Teal’c”) and Tony Amendola (“Bra’tac”), plus GateWorld’s own Darren Sumner and David Read, along with fan props maker Dean Newbury and James DeJulio of Tongal Publishing. 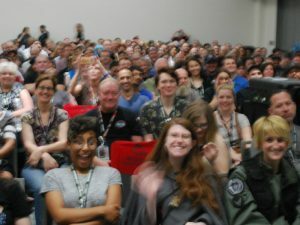 Under the program title “Stargate Franchise: Creative Storytelling” the panel spoke of how fans have built upon the shows’ fictional universe with fan sites, online community, prop-making, and more creative outlets. 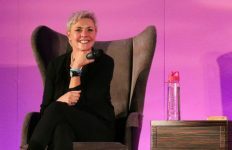 So what’s the future of the Stargate franchise? If you’ve been reading GateWorld over the past several months you know we have been asking that question in lots of different ways, with editorials, videos, podcasts, and more speculating on where the universe we love might go next. While fans hoped for a big reveal (how about a fourth live-action series?) MGM didn’t have a major announcement at this year’s event — instead indicating that the wheels are turning and an announcement is coming shortly down the road. 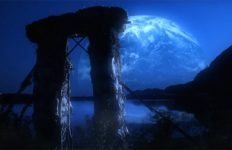 It was in San Diego last year that MGM announced the short-form Web series Stargate Origins, along with the launch of the new digital platform Stargate Command. Stargate fans gather at Comic-Con for this year’s panel event. Origins debuted at Stargate Command in February, running its 10-part series of webisodes over four weeks. The full production is now on sale at digital retailers as a single, feature-length cut, under the title “Stargate Origins: Catherine” — suggesting that additional Origins stories may be likely. DeJulio described Tongal’s business model of fan creativity, which helps connect fans with the studio to do their work in ways that avoid running afoul of legal issues. And Newbury — in full S.G.C. cosplay! — described his first efforts at Stargate prop making (with a G.D.O. 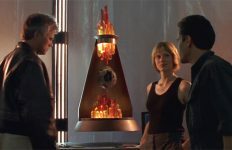 ), which eventually led him to work with Propworx on the official Stargate auctions several years back. Today Dean is at PropBlock, which sells props from beloved science fiction and fantasy movies and shows. The full video of the panel will be posted on Stargate Command’s YouTube channel in the days to come. GateWorld is on the ground in San Diego now and will also have full, rolling coverage of Stargate’s presence at Comic-Con. Keep your browser locked on GateWorld for full coverage of the news to come! Follow us on Twitter and subscribe to GateWorld’s new YouTube channel to get the very latest. Still To Come: Stargate Origins premiere screening with the cast on board the U.S.S. Midway! This is ridiculous. There is hype, the community is buzzing, a lot of people have payed for the mediocre (at best) SGO, and MGM is still just planning and “working on it”. A lot has changed since the Stargate era. There is big money in the TV industry. What the hell are they waiting for? If they do Stargate Origins: Bra’tac, they better bring Peter Williams back as Apophis.